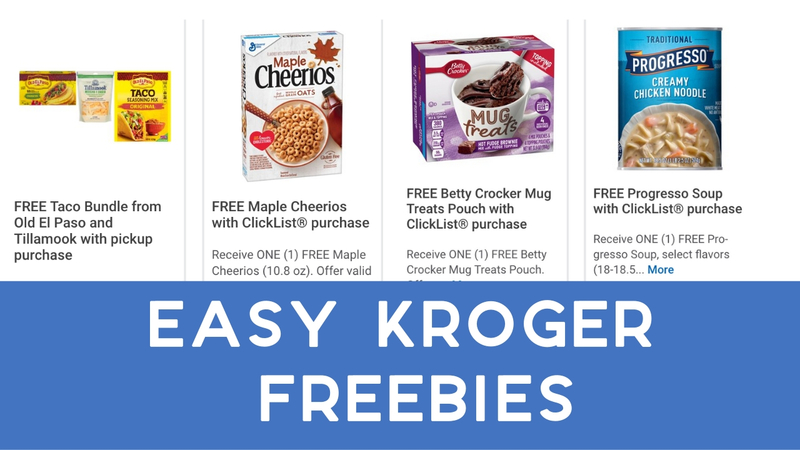 Home > Free > 4 Freebies for Kroger Clicklist Users! 4 Freebies for Kroger Clicklist Users! Have you tried out Kroger Clicklist? Whether you use it every week or want to try it for the first time, there are 4 easy freebies to grab this week with Kroger Digital coupons! All you need to do is load the offers, place the items in your Clicklist order and they will be free when you pick up your order! These offers are good through 11/10, but please load them now before they run out. The links below will take you to each specific item, click on the coupons tab to see each offer. If you end up ordering other things, make sure to also load this offer for three free items with any $50 purchase (before coupons)! 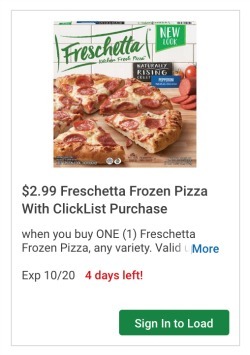 While you there, I’d recommend grabbing a Clicklist only deal on Freschetta pizza. Get up to 5 pizzas for only $2.99 with another Kroger digital coupon. Everyone else can get this over the weekend on a 2-day sale.